I need to share this link to “the first totally free online permaculture design class” offered through the Regenerative Leadership Institute. I haven’t reviewed the materials myself, but be sure to supplement the class with some field trips and hands on activities to maximize your learning experience. The first plug is for the Linked In Permaculture Group. If you are already part of Linked In, you might enjoy participating in this group. Tree Yo is a co-creative collective of people engaged and connected in the Permaculture Community. They design for resiliency, they teach environmental literacy, they build with the earth beneath or feet, they use technology that is appropriate, and they travel the world to spread the word! I’m not sure where the authors are based, but they sure do travel the world. Their upcoming permaculture design classes will take place in Portugal, the Dominican Republic and Cincinnati, Ohio. That’s some real diversity! Take a look at these shared resources. These are links to several PowerPoint presentations they’ve compiled as part of the PDC they offer. These are accessible through Slideshare and include such topics as patterns, aquaculture, tropical permaculture and mapping. Also bookmark their EDU webpage that is an open source communal education resource. This self-paced course introduces digital mapping tools and techniques (Geographic Information Systems or GIS), and how small landowners and permaculture designers can use these tools with freely available data for site planning. This seems like a valuable course, particularly if one intends to be engaged in permaculture design. I first used public GIS maps available to residents of my county in my first permaculture design project. I fumbled through the GIS software but was able to manage the basics of locating the parcel, printing out the map and obtaining basic dimensions and areas. Having a resource that can walk you through the basics seems useful. The second plug is for WordPress. Both of these websites are driven by WordPress. 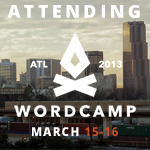 And finally, if you live in the Atlanta area, be sure to get your ticket for the WordCamp Atlanta that is coming up on March 15th and 16th. The event sold out last year and organizers expect the event to do so again this year. Come expecting to be inspired by all that you can do with WordPress from blogging to developing websites in general. See you there! 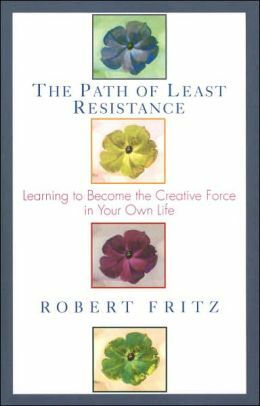 I just finished reading The Path of Least Resistance by Robert Fritz. Robert is a systems thinker whose work was profiled in the blog Leverage Points as one of the 10 best systems thinking books of the past 10 years (or so). He presents systems concepts in a very non-technical way demonstrating them as an artist-like way of creation. The problem of ineffective action. Fritz argues that an orientation that tries to attack and eliminate the “problem” leads to system oscillation. One takes action for a little while and once the pain becomes less intense, one relaxes and the problem returns. This is happening because while you attack the problem, you really haven’t done anything to change the system underlying the problem. He suggests that creating a totally new vision independent of the constraints of the existing system is a much more effective approach. 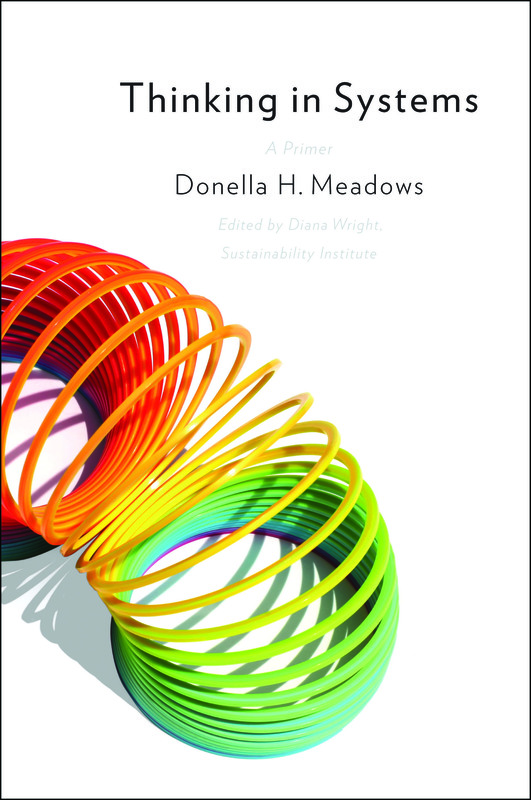 This reminds me of Donella Meadows’ work, Places to intervene in a System where she ranks 12 ways to bring about change in a system be it a life activity, group, organization or business from least to most effective. Most of the problem solving efforts that we take fall into the least effective categories, typically throwing money and resources at the “problem” or “repairing the physical infrastructure”. Fritz’s approach falls into one of the more effective categories, changing the fundamental goal of the system. When one sets the permaculture goal, one creates a fundamental goal of the system that engages the values of earth care, people care and resource share. I’ve followed many a permaculture blog since starting this blog and completing the PDC. I’ve found myself being exposed to thousands of little “solutions;” thousands of little elements that supposedly fit within a larger permaculture project. I’m not sure if it”s the blogging or facebooking writing framework or the biases of our culture that encourages these little solution snippets but we seem to be stuck on describing these least effective ways of effecting the system rather than the higher level ones. The model Fritz presents starts with the vision and current reality and then presents three stages of the creative cycle, germination, assimilation and completion. The PDC process I participated in emphasized vision and current reality and then presented a ton of information but really didn’t present the “how to” of the process of germination, assimilation or completion. As this blog continues to explore permaculture beyond the garden I hope I can find more resources that focus on these creative stages. Or maybe I can create them myself. Have you seen other permaculture design resources that focus on these aspects? In entitling this blog, Explorations into Permaculture: Concepts beyond the Garden I’ve wanted to explore how permaculture could inform system design, changing the way that we interact with each other and our environment. I somehow got sidetracked from this mission while I completed the PDC. 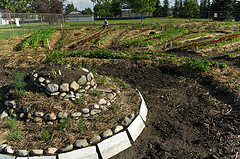 It seems that much of permaculture as presented in the web (and perhaps even in the PDC) is a recitation of techniques; an endless stream of techniques. Many permaculture websites seem to focus on these techniques and show how they have actually created them “at home.” Much less time is spent on the thinking that underlies permaculture design and allows its concepts to spread beyond the garden. I haven’t been creating much new content for this website. I am discovering that I’m not really interested in the techniques of permaculture but searching for a step forward in my attempt to take permaculture beyond the garden. I’m very interested in this recent You-Tube video I learned about through the Permaculture Linked In Group. A link to the video appears below. Under the subject of resilience: Permaculture builds capital which enhances the capability of systems to survive disruptions. [34:50] In my grant writing life I’ve been engaged in a wealth creation project since last year. I’ve started two posts about this and its relationship to permaculture. You will be seeing them soon. When you ask people to envision a new future, they are often unable to do so because their wounded selves censor their authentic self. A way that Professor Hill has overcome this is by giving people permission to lie instead of asking them to vision. For example, what is the most amazing change that you have seen in your garden? He says that when he does this, the wounded self stop censoring the authentic self, allowing it to express itself, because the wounded self sees no risk in “lying”. Lying is not a reality. [1:15:42]. I would guess that children have less difficult creating a vision that wounded adults. There is much more in this video. I’d urge you to watch it and tell me what you think. “The purpose of the upcoming Justice Begins with Seeds conference is to grow the food sovereignty movement by advancing learning and building coalitions between the GMO counter-movement in the US, and other movements thriving to develop sustainable food systems, alleviate climate change through soil practices, defend the rights of indigenous communities, reduce social inequalities and encourage citizen democracy against corporatocracy. Does IDEX promote permaculture as a localization strategy? If so, how? 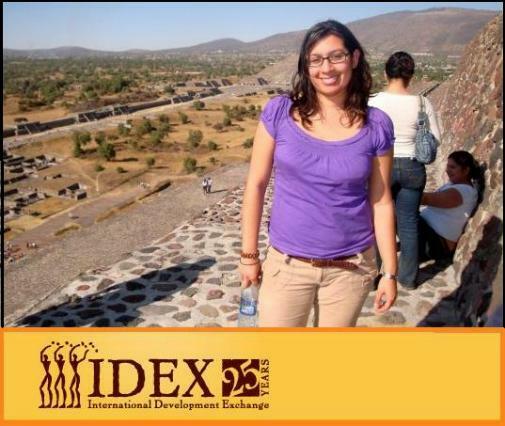 International Development Exchange (IDEX) identifies, evaluates, and grows the best ideas from local leaders and organizations to alleviate poverty and injustice around the world. IDEX supports community-led solutions that are making a huge difference for people living in extreme poverty. The initiatives come from people who want to create change for themselves. We provide the financial support. For many of the communities IDEX supports, land, water, and seeds are central to their survival, livelihoods and health. Permaculture is part of the agroecological practices our partner organizations value and promote to secure sustainability of their community livelihoods. Together with these themes, our partners and grantees work in ways that honor the rights of women, indigenous communities and other minorities, reflect economic, social, cultural, and political realities, and create solutions that have commitment from the grassroots. Please tell us what the key principles are in sustainable agriculture? Thanks to the learnings of our South African partners: Biowatch and Surplus People’s Project based in Durban and Cape Town respectively, they’ve shared with us the core principles of agroecology, which is the model for sustainable agriculture. All the following text comes from a three-day agroecology conference workshop organized by Surplus People’s Project, African Center for Biosafety and the Right to Agrarian Reform for Food Sovereignty Campaign. Agroecology (AE) came about with the convergence of two scientific disciplines: agronomy (the study of soil management and crop production) and ecology (the study of the relationships between organisms and the environment). As a science, AE is the application of ecological science to the study, design and management of sustainable agro-ecosystems. As a set of agricultural practices, AE seeks ways to enhance agricultural systems by mimicking natural processes, thus creating beneficial biological interactions and synergies between the components of the agro-ecosystem. It provides the most favorable soil conditions for plant growth, particularly by managing organic matter and by raising soil biotic activity. • Is highly knowledge-intensive, based on techniques that are developed from farmers’ knowledge and experimentation rather than delivered from the top down. Agroecology as a basis for change – It is a counter movement to enable small-scale farmers and farm workers/ farm dwellers to take control of their natural resources and manage their environment in a sustainable way. It is viewed as an emancipatory political project based on social and economic justice, and rooted in ecologically sound practice. Degradation of polyurethane by fungi? Paul Stamets (Mycelium Running) will be glad to hear this. Lets hope this initial finding pans out after further investigation and field trials. 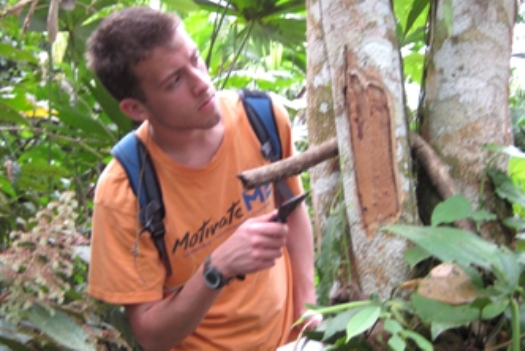 A group of students and professors from Yale University have found a fungi in the Amazon rainforest that can degrade and utilize the common plastic polyurethane (PUR). As part of the university’s Rainforest Expedition and Laboratory educational program, designed to engage undergraduate students in discovery-based research, the group searched for plants and cultured the micro-organisms within their tissue. This section of Heathcote Community’s Online Permaculture Course provides more suggestions. Header Photo of Earthship Brighton Solar Panels courtesy of Dominic Alves under Creative Commons license. I'm an environmental engineer turned non profit consultant with a life-long interest in sustainability. 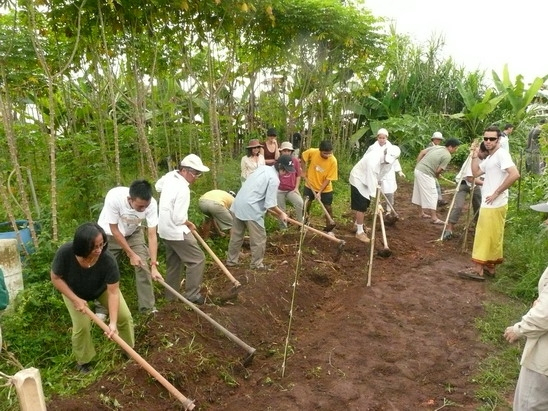 I learned about the existence of Permaculture in May 2011. I am interested in investigating its relevance to household renovation, municipal water and waste water system design and the transition economy in an urban/suburban context. Tear Out your Front Yard!